QuitX wanted to inject new life into their brand by creating a strategy that would leverage the brand’s success, and at the same time, generate new opportunities both now and in the future. This strategy needed to deliver retailer objectives and engage consumers towards the QuitX brand. The theory was to drive volume towards Chemist Warehouse and value towards pharmacies such as Terry White and Amcal. We wanted an idea that embraced the primary target audience, whilst creating interest for the secondary market. 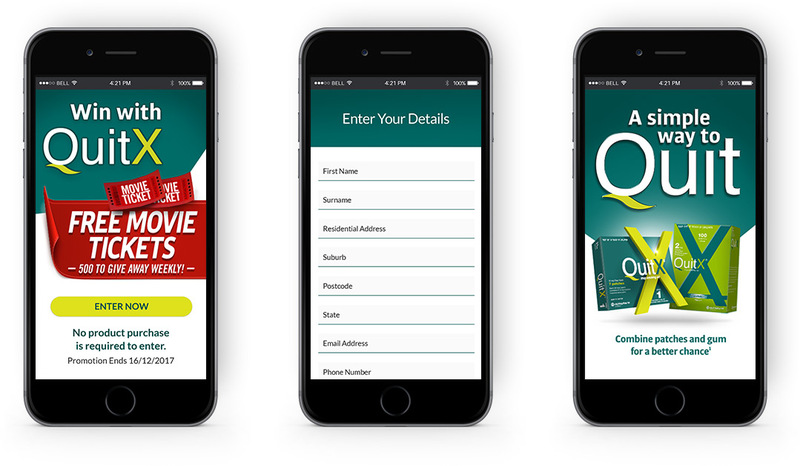 The chance to win movie tickets appeals to all sectors and gave us a vehicle from which to capture a potential customer’s personal information regarding their smoking experience. The website DoD created was bold and engaging, reflecting the strong QuitX brand and inviting consumers to venture further into the site and impart the information we were looking for. 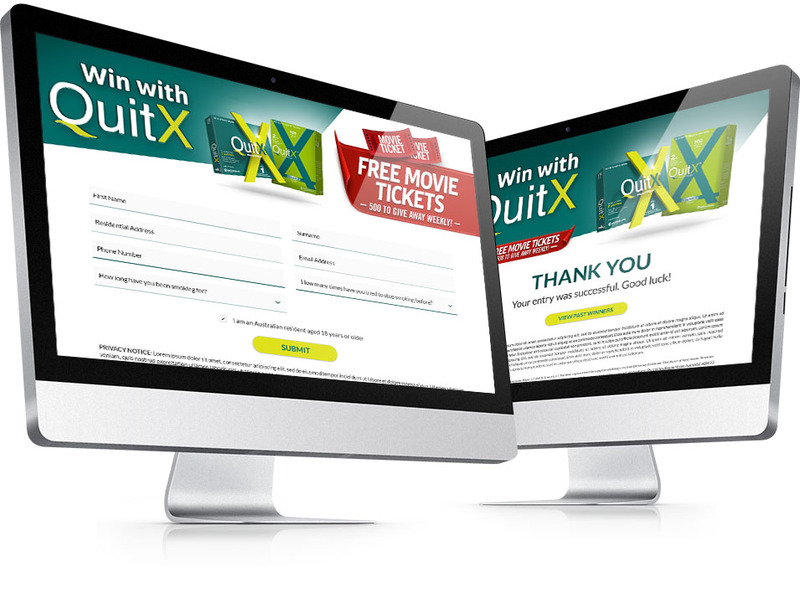 With this information gathered, QuitX now had valuable research data regarding smoking consumption and behaviour, they could now use this to build future marketing and promotional campaigns. The competition was an enormous success with over 20,000 entries during the promotion. Brand quality perception improved and QuitX saw an increase in customer engagement and sales by 3x. Enquiry increased through the competition website and the off-shoot was increased traffic to the parent website by 2x.